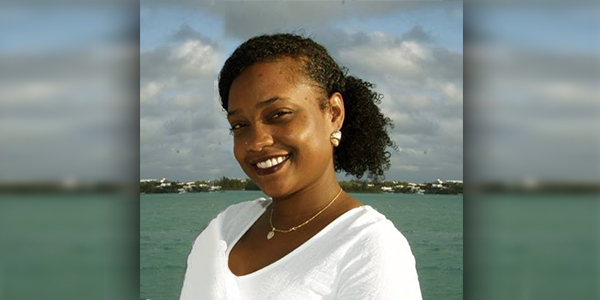 Voters will be heading to the polls for the municipal election in St. George’s today, set to elect a new Councillor for the east end, and Cyniqua Anderson is one of the two candidates running. Ms Anderson said, “I am a born and bred St.Georgian coming from a family with deep St.George’s roots. My father, Phillip Anderson, became the Councillor for the Town of St. George in 2012. My aim is to fill the seat he occupied from his election in 2012 until his sudden and untimely death on December 9th, 2018. When asked why she decided to run, Ms. Anderson replied, “I grew up in this town. The St.George’s community has shaped me into the individual that I am today, for this reason I believe that it is my duty to serve St.George’s and her people in this capacity. “With the knowledge I’ve gained throughout my career and educational endeavors, in addition to the wisdom passed down from my father, I plan to bring fresh ideas to help advance our town. Of course a major motivator for me running for this post is a strong desire to fulfill my father’s dream. He instilled a responsibility in me to this town and spoke highly of what, not only, St. George’s is but what it can be. “I hope to inspire other young people to get involved in our community. Leveraging the talents of our young people is how we ensure the future progression of St.George’s. “This is something I hope I can spearhead if given the opportunity to sit in the role as Councillor for the Corporation of St.George’s. Encouraging more young people to get involved in our town and take pride in our community is one of my biggest goals regardless of election. “In addition to my plans to improve our tourists’ experience in St.George’s and bolster the introduction of new businesses to the town, I’d like to tackle the issues that matter most to the residents. The extraordinary municipal election for the Corporation of St. George is taking place today at the Penno’s Wharf Cruise Ship Terminal in St. George’s, with the polling station open from 8:00 a.m. – 8:00 p.m. The results are expected to be known later this evening, and Bernews will update as able.